On this summer morning after a long walk during my favorite time, l’heure bleue, I returned home and settled into my meditation space deciding today is the day to extend my first invitation to the 3 Beings to join me at the cave and help me get started working on the mystery. “Please, only one at a time,” I lovingly requested, What clues can you share with me today”? Peacefully sipping my ‘tea of patience’ I calmly waited for a response — just a word, an image, a ‘knowing’. The body and mind were calm but not at optimal levels. So I just waited knowing that when you least expect it some of the best things can happen. Soon my inner vision showed me what I understood to be a tiny scrap of gold resting on a slab of what appeared to be crystal. Though the vision was very brief, my understanding was very certain. I thought this was nice, however it didn’t seem ground-breaking. 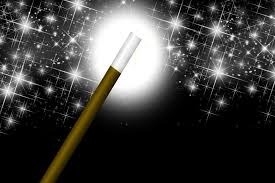 But soon a magic wand with a glittery tip floated in my vision and though gone in a mere second, this was distinct and felt so right. I like glitter and of course I like magic. Meanwhile a soft breeze stirred inside the cave entrance giving an air of expectation, and all seemed good for this morning visit to the cave meeting-place where I like to think it’s always ‘ the blue hour’. So again, this morning I invited the 3 and they showed up, and yes, they had new information. I’m already asking “What’s in the cave?” – I’m asking much sooner than I had planned. For some reason I’m especially curious and I have a strong feeling that something is hidden there and needs to be seen – as though there’s life in there that has been hidden for a long time almost without hope of coming out. But, back to the mine – or cave. I realize that it seems I often think of the cave as a ‘mine’, which makes sense because in my vision I see crystals/diamonds and coins and gold. So I take these all as clues. The name “William” has appeared to me a few times, then suddenly the words “Kansas City” come to me. And I know it is significant though I have no idea how Kansas City fits in or who William might be – but I’m sure these are important clues and now it occurs to me that maybe I have some real dots to connect and pieces to fit together. 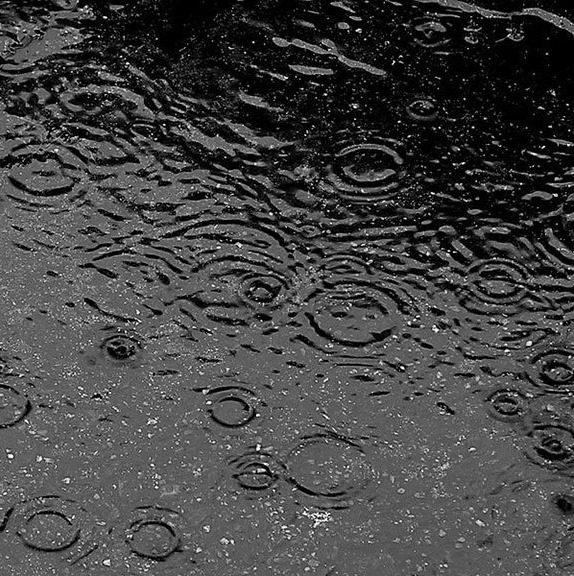 However, the most interesting clue today is the rain. It’s raining and I know this is significant. What happened to my violet sky and temperate breezy climate? Now it’s raining and the beautiful rich soil is even more rich and more beautiful and sort of looks like maybe oil, sort of bubbling from the ground, gently forming rings in the rainy soil. It’s all very rich, the coins, the soil, the diamonds/crystals. My ‘friends’ seem to be allowing me to see all of this but are themselves staying a little behind the scene almost hidden—though I realize they can’t really hide from me – we are really bound in some way. Feeling love for these 3, a love that is not fickle. I care about them and I know we can help one another.